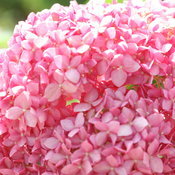 Thank you for your interest in Invincibelle Spirit hydrangea. Plese note that this plant has been replaced with the improved variety, Invincibelle Spirit II. 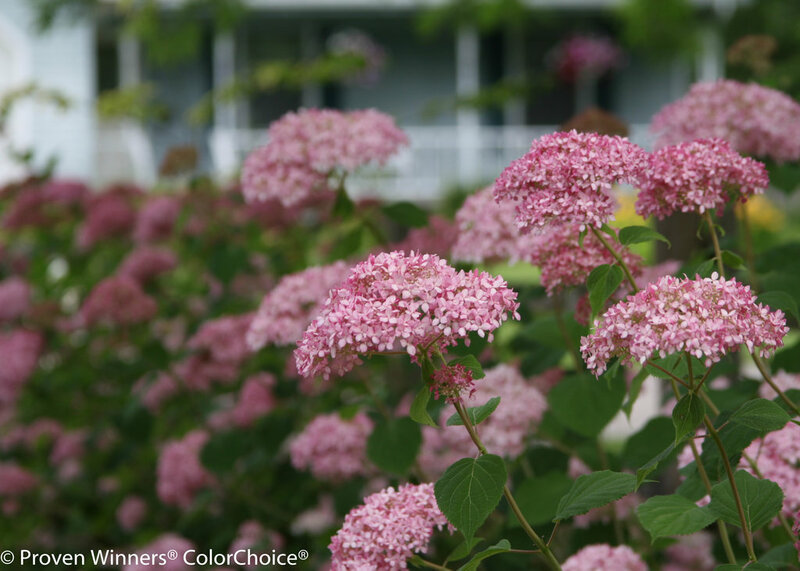 Our native smooth hydrangea (Hydrangea arborescens) has come a long way in its lifetime, especially since the 1910 discovery of ‘Annabelle’ in Anna, IL – a now-famous variety whose name has become synonymous with the white, snowball-like summer blooms. Well, there’s a new belle of the ball, and she’s radiant in pink. Yes, pink. Invincibelle Spirit hydrangea is the first pink hydrangea of its kind, bringing all the hardiness and reliability of the smooth hydrangea, with a splash of color. 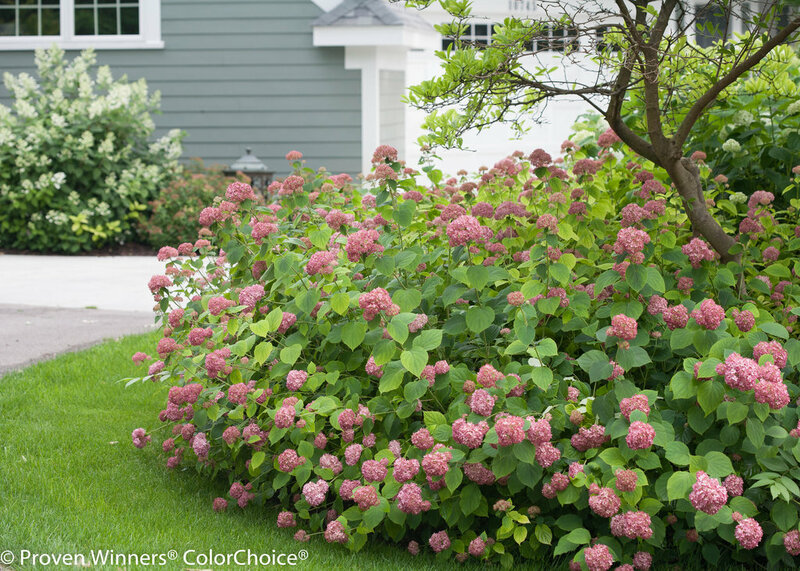 When your bigleaf hydrangea varieties let you down with buds zapped by fickle spring temperatures, Invincibelle Spirit hydrangea will perform and perform… and perform as it continually blooms in nonstop waves from mid-summer until frost. 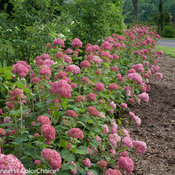 It’s hardy to Zone 3 and prefers full sun but will tolerate part shade. 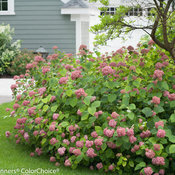 Invincibelle Spirit hydrangea is an overachiever. 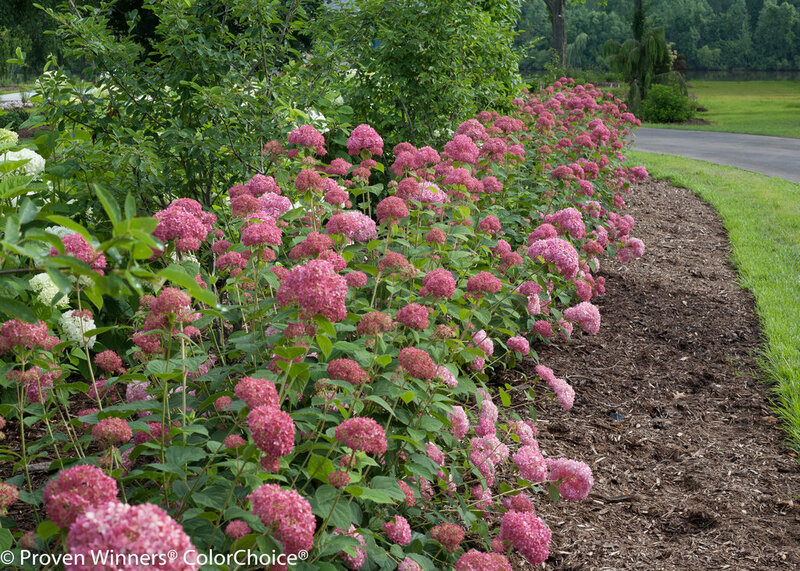 If breakthrough color and reliable performance weren’t enough, it also stands tall for a cause. 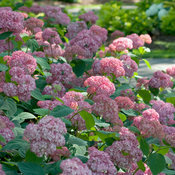 Since its introduction in 2010, $1 from each plant sold is donated to The Breast Cancer Research Foundation® (BCRF). 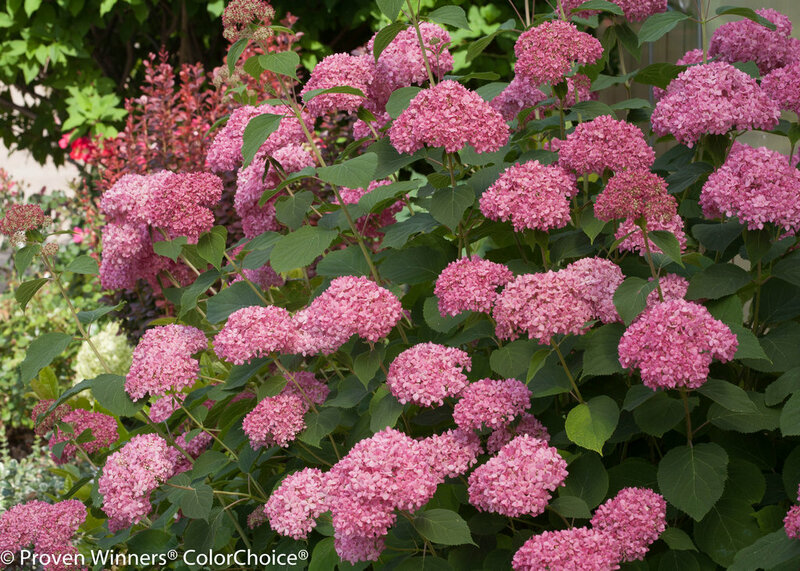 Sales of the plant and corresponding Pink Day fundraisers hosted at garden centers across North America have raised over $900,000 - over 90% of the way to our million dollar goal! Find out more about the Invincibelle Spirit campaign for a cure. 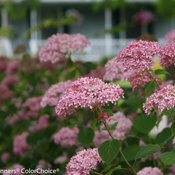 Pink summer flowers add rich color to summer landscapes. 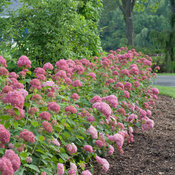 Excellent native plant for mixed borders or perennial gardens. When I bought three of these in 2 gallon pots at the local nursery, I was told it would take aboit 3 years to establish itself. It has been 3 years, and one has died, one grows well, and the third is amazing. 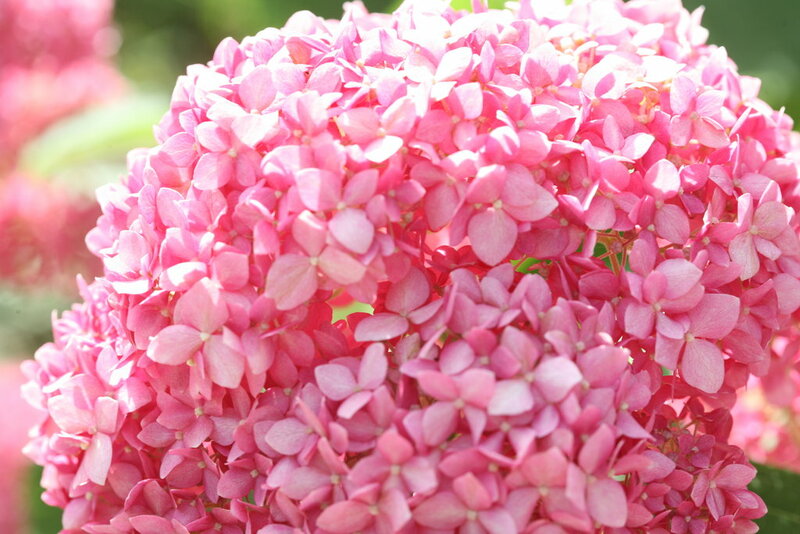 It is covered in blooms and the stems are almost 5ft. tall. Because the blooms are heavy, I have put a wire cage around it which is completely hidden by the foliage and blooms. Very happy! This plant is amazing!! Bought In Costco. Has survived 3 winters in Prince George B.C. (Zone 3). 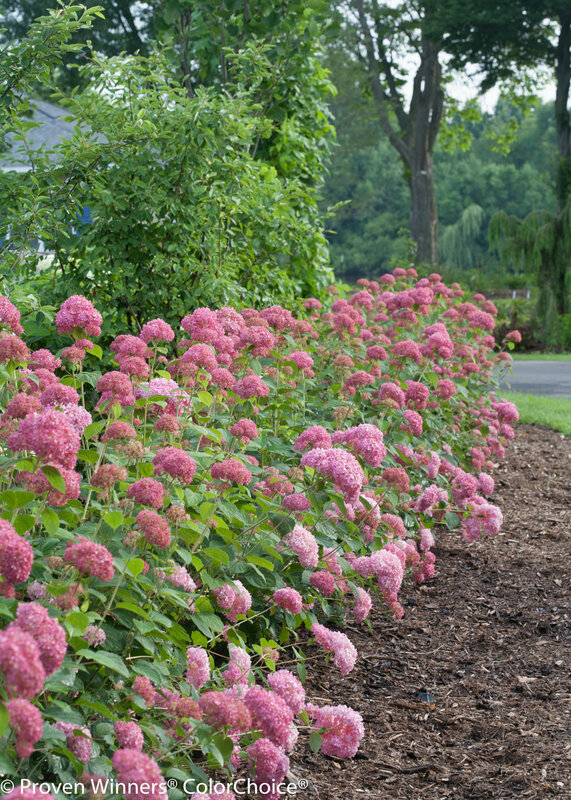 All summer and into late fall, continuous gorgeous blooms. Great to look at in the garden, and great to pick as a bouquet. 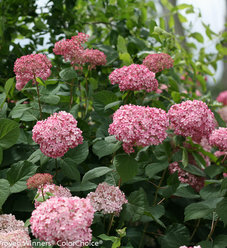 Large blooms in shades of light to dark pink and to faded rose colours, now about 3 feet tall, 4 feet wide. Planted on the north west side of our house, only late afternoon sun, and grows so well. I plan to plant more in the spring. You will not be disappointed! Would share a photo, but do not know how. Very unhappy with performance of this shrub after its been in the ground 4 years. Flops and bloom size not great. Incrediball is far superior in every way. 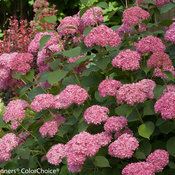 I have 6 of these hydrangeas. They are beautiful! Five are in full sun and one in morning sun only. All six are covered in flowers. I'm going to order one for a very shaded area. If it only does half as well as the others, I will be happy. Not our favorite by a long shot. Did not perform the first few years. It is a nice big bush now, but the stems are so weak that the blossoms just flop to the ground and on one another. The blossoms shed terribly when I cut them for arrangements. This is not what I expected. One thing in her favor...She's been in the ground about 5 years and her blossoms are very large, not as large as Endless Summer, but nice. and as a plant professional, i bring it into all garden designs that i can! I've tried to grow it for over 4 years in several sites. Planted an Invincibelle Spirit last year. Did well, bloomed but weak stems. 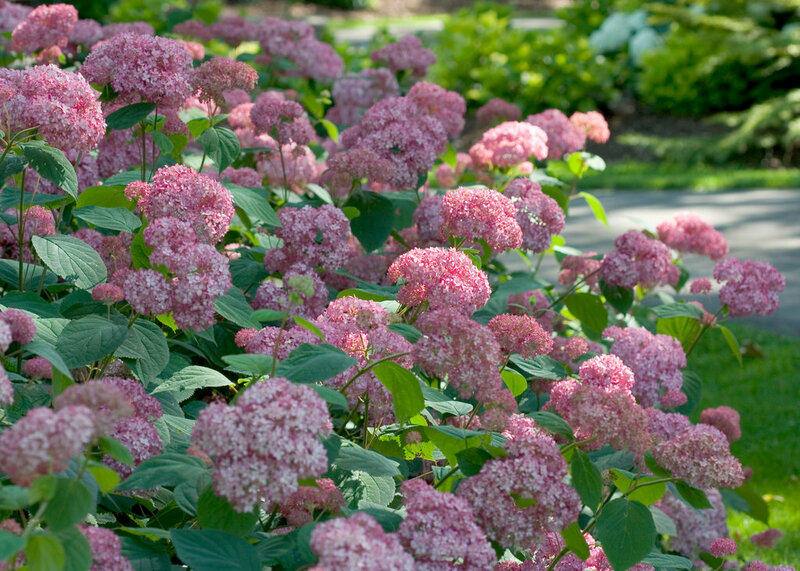 Cut it back in late winter; dropped a bit of fertilizer in early spring as recommended. Looks amazing already (it's late May); much stronger stems than last year, and already about 4" taller/wider than last year. Looks great - can't wait to see the blooms again !